The Sorolla Museum has prepared a lot of activities for children to take advantage of during the Christmas holidays. The children will enjoy fun workshops and games that are carried out in English in an enjoyable way. The children can sign up for a single day (€ 25) or for four days of the same week (€ 80). From December 26-29 , and from January 2-5. The Museum is located at C/ General Martínez Campos 37, Madrid 28010. 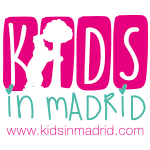 Follow our blogs to stay up to date with the latest events in the life of Madrid. Juvenalia: a great day of activities for children and families!